We would like to note that terminology is a disputed issue in communities addressing “disability”. So, we have learned to use the phrase “different abilities” along with “disability”, although most often we use “dis- or differing” in order to acknowledge various points of view. Differing abilities are traditionally designated as disabilities, but they could also indicate extraordinary ability, such as synesthesia, a neurological phenomenon where one translates an impression from one sense to another, for example when people hear a musical note, they ‘see’ it as a colour. Dobble Debate is a project brought to OCAD University by Nina Czegledy in collaboration with Lynn Hughes of the Technoculture Art and Games (TAG) Research Centre, Concordia University. The project involves OCAD University’s faculty, graduate and undergrad students and alumni, as well as other internal and external researchers. The project has been generously supported by the Social Sciences and Humanities Research Council, Government of Canada. Nina Czegledy is an artist, curator, scholar and OCAD University and University of Toronto faculty member who regularly collaborates internationally on art, science and technology projects. She has exhibited and published widely, won awards for her artwork and has initiated, researched, lead and participated in symposia worldwide. Czegledy gives master classes and lectures, along with developing and co-organizing numerous educational forums and workshops for institutes and international symposia such as the Media Art Histories conference series, ARS Electronica and the International Society of Electronic Arts. Latest curatorial and exhibitions projects include: SPLICE, re_examining Nature, Oulu Art Museum, Finland (2017), SPLICE At the Intersection of Art and Medicine, Galeria de Arte do Finotti, Uberlândia, Brazil (2015), Water & Peace for SCANZ2015, New Plymouth, New Zealand, Open Culture – Urban Interventions, for Subtle Technologies2014, Paul H. Cocker Gallery, Toronto; SPLICE, At the Intersection of Art and Medicine, Pratt Gallery, New York, UTAC, Toronto, Blackwood Gallery, Mississauga, West Vancouver Museum (2012-2013). Czegledy’s latest publications include: Interdisciplinary Knowledge Transfer: The future of learning In International Yearbook of Arts Education Vol 3; Art as a Catalyst. Leonardo Transactions Sept. 2014; Data in Public – Data Visualization in Art In: Aspects of Art 2014, Fekete Publishing Budapest; Homage to Polar Lights 2013, In: Light Image Imagination ed. Martha Blassnigg, Amsterdam University Press. Find out more at www.ninaczegledy.net. Lynne Heller is a post-disciplinary artist, an educator and academic. Her interests encompass material culture, new media performative interaction, graphic novels and sculptural installation. Heller completed her MFA at the School of the Art Institute of Chicago in 2004 and her PhD in 2016 at University College Dublin, Ireland from the department of Gender, Culture and Identity in the School of Humanities and Arts, with a research focus on feminist practice in online culture. Her research was practice-based, with a specialty in Digital Media Arts. 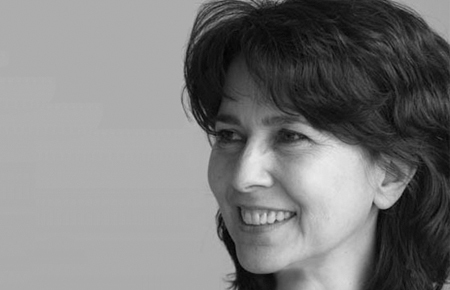 She is an Adjunct Professor at OCAD University, as well as co-director of the Data Materialization Studio. She is also an adjunct faculty member of SMARTlab, Ireland. Heller has an extensive exhibition record both nationally and internationally and is the recipient of grants from the Ontario Arts Council, the Canada Council for the Arts and the Department of Foreign Affairs, Canada. Recent exhibitions include Slippage at the Robert Langen Art Gallery, University at Waterloo, Waterloo, ON, Chelsea Girls, Gallery 44, Toronto, ON, Homeostasis Lab, The Wrong – New Digital Art Biennale, made and exhibited worldwide, Another Season: An International Exchange Project, Gallery 44, Toronto, ON (the exhibition travelled to the Three Shadows Photography Art Centre, Beijing, the Detroit Centre for Contemporary Photography, and the Hippolyte Photographic Gallery, Helsinki) and Hysteria: Past, Present, Future curated by Anonda Bell, Paul Robeson Galleries, Rutgers University, Newark, New Jersey, USA. She exhibited this past year at WARC Gallery, Toronto, ON, ISEA2014, Dubai, UAE, touring - Salisbury, Leicester, Bristol, London and online, 2014-15. Recent publications include the chapter “Found Objects, Bought Selves” in New Opportunities for Artistic Practice in Virtual Worlds, ed. Dr. Denise Doyle and “One for Sorrow: A Handmade Virtual Reality Experience” in Contemporary Paths: Realities of Art, Science and Technology, ed, Dr. Pablo Gobira. 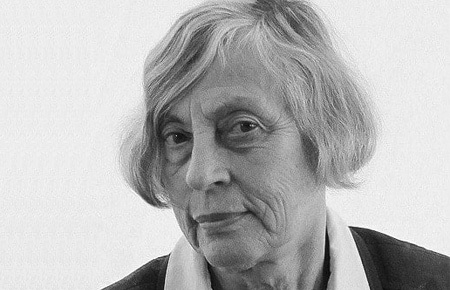 Public and private collections of her work include Art Metrople, Toronto, ON, CA; The Joan Flasch Artists’ Book Collection, School of the Art Institute of Chicago, Chicago, IL, USA; Artist’s Book Collection, OCAD University Toronto, ON, CA; Artists’ Health Centre Foundation, Canada, Sheila H. MacKay Foundation, Canada; External Affairs, Government of Canada, Tokyo Embassy; and private collections. Reviews include ETC. Montreal, Canada; Art Papers, USA; The Globe & Mail, Canada; Canadian Art, Canada; Fiberarts, USA; The National Post, Canada and The Hamilton Spectator, Canada. She has been the recipient of numerous grants from both the Canada Council for the Arts as well as the Ontario Arts Council. Find out more at lynneheller.com. Stephanie Cloutier is an artist and writer from Toronto, Canada. She holds a BFA in Sculpture and Installation with a minor in Material Arts and Design (Fibre) from OCAD University. As a multidisciplinary artist, Stephanie’s practice is based on the notion of empathy and uses tools of repair and community engagement as an act of resistance and futility, while investigating aspects of memory, history, and the relationships existing between humans and objects, humans and the environment. Prior to studying at OCAD, Stephanie worked in radio broadcasting industry as a copywriter and producer around the Greater Toronto Area. She moved on to work as a content and communications specialist in the private sector while also working as a freelance writer and photographer for various online music and entertainment magazines. Judith Doyle works in filmmaking, writing and installation. Her films - fiction and documentaries - have screened at TIFF and internationally. She has written, published and participated on the editorial boards of artist-run publications. In recent years, she has shifted the focus of her research-creation to include both the art and scientific communities. She is Principal Investigator of the Social Media and Collaboration Lab (SMAClab), where she has employed Research Assistants with diverse expertise including programming, art fabrication, contemporary art theory and writing, and video production. They produce art and art creation tools (software modifications, computer files, mechanics/physical systems) using a range of media, including 3D depth cameras adapted for full-body motion capture. GestureCloud - a collaborative team Doyle has founded with Beijing-based artist Fei Jun - considers how factory labour and gesture move between China and North America. They investigate the political and economic dimensions of physical, hybrid and online labour as they blend in contemporary networked life. GestureCloud's installations and academic presentations include the B3 Media Art Biennial in Frankfurt Germany 2015, ISEA2013 Sydney, Art Beijing 2013 and AV@TAR2 at C-MODA (the China Museum of Digital Art). In 2012, Doyle received the OCAD University Award for Distinguished Research and Creative Activity. She Chaired and teaches in the Integrated Media program, as well as teaching in Digital Futures and Graduate Studies (IAMD, DF). Doyle is the Artist in Residence at the Telus Toronto Innovation Centre for 2015 and in summer 2015, she completed an Artist Residency at Quetico Park, an Ontario wilderness area. Her recent exhibitions include Lively Objects curated by Caroline Langill & Lizzie Muller at the Museum of Vancouver for ISEA2015, the B3 Media Art Biennial in Frankfurt, Nuit Blanche 2014 at the Queen Mother on Queen Street West, and the 2014 AGYU exhibition "Toronto is Burning" curated by Philip Monk. You can find her on twitter @ginaharaszti. Over the years she has consistently also pursued activities as a curator. In 2012, she co-curated (with Heather Kelley and Cindy Poremba) Joue le jeu, a major international exhibition on contemporary game culture at the Gaite lyrqiue in Paris. In 2015 she is leading a curating team for the Transitio festival in Mexico City and also curating a month of "Material Play" at the Laboral Centre in Gijon, Spain. Kira has a background in the arts, food security and social services. In the last ten years her projects have centered around experiential learning facilitation, stakeholder engagement and program development in the disability and poverty sectors. She loves brain games, teaching, design and dogs. Robin Len started working with computers, animation and photography in the late 1970’s. In the early 1980’s at Trinity Square Video, he developed innovative compositing approaches, using analog video equiptment to integrate his imagery electronically. His work from this period has been exhibited internationally and is part of the archives of Canadian video art housed at V-Tape and Trinity Square Video. After graduating with honours from the Ontario College of Art, Len designed for the stage and was recognized with a Dora Mavor Moore award. He has collaborated with numerous Ontario artists including John Greyson, Patricia Rozema, Susan Rynard and others, bringing his unique sensibility to their film and video projects. Subsequently, Len applied his craft to broadcast design, working for most Canadian networks at one time or another and winning international awards in competition with major US networks. He redesigned cable networks including the Shopping Channel and ESPN in the US, and created the on-air look for the launch of Showcase Television. Len’s work has extended into many commercial projects. He created pieces for BMW and flow 93.5, and brand identities for Telus, Sprint and others. Len is also the creator of a number of main title sequences for feature films, working with Handmade films, Universal Pictures, Alliance Atlantis and others. Anna Lew is a recent graduate of the Graphic Design program at OCAD University. In her final year of study, Lew explored storytelling in gaming which resulted in a concept for a game titled Reigning Cats & Dogs. Her interest in gaming has also led her to create a YouTube channel, where she uploaded videos of gameplay and commentary (Let’s Plays). Lew studied Classics at McMaster University before deciding to pursue her interest in design. She currently works as a Studio Assistant at a Toronto-based design studio and gift store while searching for full-time opportunities in the design field. Jananda Lima is a graphic designer and brand strategist with over ten years of industry experience. Over the past few years, she shifted her career to social innovation and community engagement, contributing to initiatives that support marginalized communities. Kashfia is a design researcher and strategist pursuing her Masters in Design in Strategic Foresight and Innovation at OCAD University. She has a background in graphic design and product management and is currently working on projects exploring diversity and inclusion. Martin Shook is a student at the Ontario College of Art and Design University, majoring in Graphic Design and minoring in Illustration, Social Science, and Sustainability. Originally from Nanaimo, British Columbia, Martin moved to Ontario in 2012 to pursue a design education. Passionate about biomedical communications Martin has continued his education at both Ryerson University and Athabasca University studying Life Sciences, while studying full time at OCAD University. Martin is currently pursuing a Master of Science in Biomedical Communication Design, at the University of Toronto. He currently works as a third-party contractor for a Medical Marketing agency and has previous experience in creative marketing in Biotech. Social Sciences and Humanities Research Council, Government of Canada, OCAD University, in particular the Research Office, Concordia University and the University of Guanajuato.